Since 1964, the Roald Dahl classic “Charlie and the Chocolate Factory” has been entertaining kids and adults alike. Whether you grew up reading the book or only know the story from the films starring Gene Wilder and Johnny Depp, people love the story of Charlie and his candy-coated trip. Want a deeper appreciation of the story? 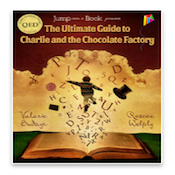 Then you should check outThe Ultimate Guide to Charlie and the Chocolate Factoryfor both iPhone and iPad byValarie Budayr & Roscoe Welply. 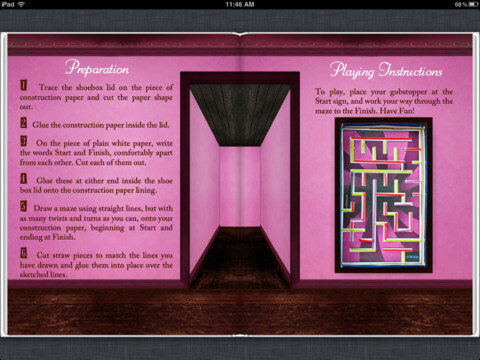 Aimed at kids in Grade 1 and above, this iBook is nearly 200 pages long. Building on the plot and narrative framework of “Charlie and the Chocolate Factory, The Ultimate Guide to Charlie and the Chocolate Factory makes the text even more engaging for young readers. 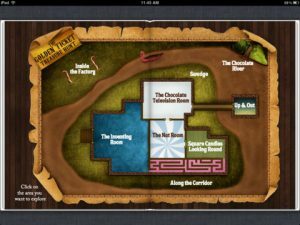 The main draw of The Ultimate Guide to Charlie and the Chocolate Factory are all of the activities and interactive elements. Enhanced with animations, games, recipes, videos, and more, this charming book is sure to entice even the most stubborn readers. With over 20 crafts and activities to complete (including creating Gobstopper Gum and hats for Willy Wonka himself), the activity-based parts of the book are sure to provide hours of fun for kids. Also interesting are the educational parts of the book. 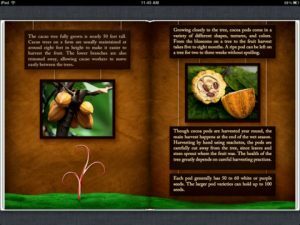 Given the fact that most kids just stick chocolate in their mouths without thinking about what it is made from or where the ingredients come from, the educational portion on cocoa trees and cocoa pods is a welcome inclusion. 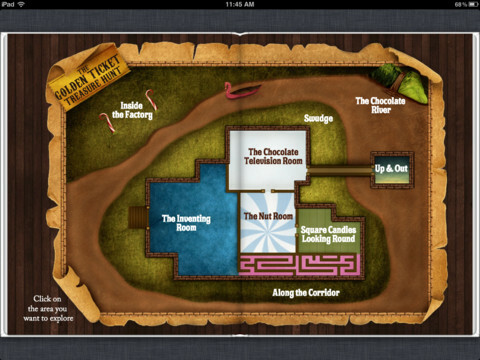 If you’re looking for a new activity book to share with your kids, you can’t go wrong with this playful, chocolate-centric iBook for both iPhone and iPad. 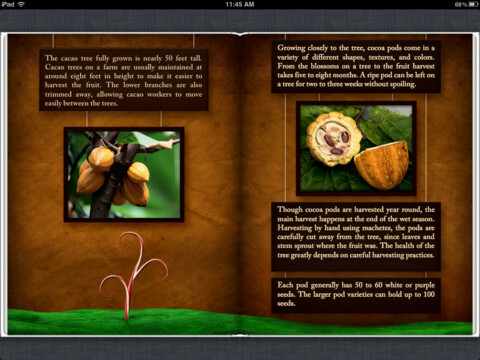 The Ultimate Guide to Charlie and the Chocolate Factoryrequires iBooks 1.5 or later and iOS 5.0 or later. 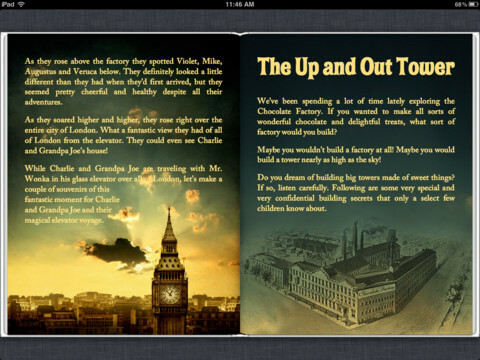 Books can only be viewed using iBooks on an iPad, iPhone (3G or later), or iPod touch (2nd generation or later). A small expedite fee was paid by the developer to speed up the publication of this iBook review.